– Any information will not be sold or rented to a third party without your permission. – Commercially reasonable precautions to protect the information from loss, misuse and unauthorized access, disclosure, alteration and destruction will be taken. The information will not be used or disclosed except as necessary to provide services to you, as necessary to enforce the terms of service or as necessary to protect the rights, safety or property of Healthy Divorce and Healthy Relationships Pty Ltd, its users or others. This site provides general information only. Nothing on this site should be taken to comprise legal advice, or counselling advice. Nothing on this site should be used as a substitute for detailed and competent legal advice, or counselling advice. While the information contained in this website is believed to be accurate and current, it is provided by Healthy Divorce and Healthy Relationships Pty Ltd in good faith and as currently is basis. Healthy Divorce and Healthy Relationships Pty Ltd, its directors, officers or employees make no representation or warranty as to the reliability, accuracy or completeness of the information contained on this website and none of them accept any responsibility arising in any way (including negligence) for errors in, or omissions from, the information contained in this website. We may collect, store and use information about your computer and about your visits to and use of this website, information you provide to us for the purposes of enquiring about our services, and any other information that you choose to send to us. It is up to you whether you disclose personally identifiable information to us. Although, if you elect not to do so, we may choose not to contact you any further. – Session data for your session. – Not sell or rent it to a third party without your permission. – Take commercially reasonable precautions to protect the information from loss, misuse and unauthorized access, disclosure, alteration and destruction. – Not use or disclose the information except as necessary to provide services to you, as necessary to enforce the terms of service or as necessary to protect the rights, safety or property of Healthy Divorce and Healthy Relationships Pty Ltd, its users or others. To take precautions to guard against “malware” (viruses, Trojan horses, bots, etc) for example by installing and updating suitable anti-virus software. If you have any questions or comments about our privacy policies please contact us on pamela@healthydivorce.com.au. This website contains links to websites not maintained, controlled or associated with Healthy Divorce and Healthy Relationships Pty Ltd, and it does not make any endorsement, or any representation as to the accuracy of information contained on those websites. It is advised that you make your inquiries. 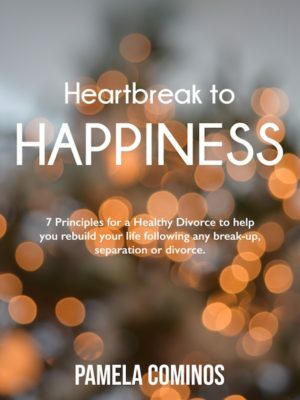 Healthy Divorce and Healthy Relationships Pty Ltd does not represent that any information (including any file) obtained from or through this website is free from computer viruses or other faults or defects. It is your responsibility to scan any such information for computer viruses, faults or defects. Healthy Divorce and Healthy Relationships Pty Ltd will not be liable to you or any other person for any loss or damage (whether direct, indirect, consequential or economic), however caused and whether by negligence or otherwise, which may result directly or indirectly from any computer virus or other faults or defect in this website. If you have any questions or comments about our terms please contact us on pamela@healthydivorce.com.au. We may store your data on servers provided by a third party hosting vendor with whom we have contracted. Healthy Relationships Pty Ltd is the copyright owner of the content of this website or is licensed by the copyright owner to use the content on this website. Except as permitted by the Copyright Act 1968 (Cth) no part of this website may be reproduced, adapted, performed in public or transmitted in any form by any process (graphic, electronic or mechanical, including further copying, recording, taking or by a storage and information retrieval system) without the specific prior written consent of Healthy Divorce and Healthy Relationships Pty Ltd.